Just this past weekend I had the opportunity to bring one of my kids to the range, while somewhat prepared and organized we decided we were going to bring rifles. With all of my experience I’ve learned to have things packed up and organized in specific bags because I’ve had plenty of past experiences of showing up at a range with the wrong ammo, wrong magazines, forgetting to bring magazines, and the worst, forgetting to bring the stapler for hanging targets. One of my old ranges was notorious for not being maintained and I open showed up without being able to hang my targets on anything so I had to bring a backup. There are plenty of things you can do wrong if you are packing up multiple calibers and when it’s time to go home, if you are disciplined in packing you are going to lose your magazines, your stapler and your sight in tools. Sometimes people get sticker shock when they see gun cases outside of Uncle Mike’s and Bulldog but buying there is a lack of logic when spending money on $2500 rifles and not wanting to spend $100 on a rifle case. The same goes for people with a lot of firearms and not buying decent range bags means losing money and time. This Elite Survival Range Bag is hands down the first thing we suggest when people don’t want cheap. This bag comes in 3 different sizes and the medium is the most popular. For people in competiti.on sports the Elite Survival Range Roller is a must and the newer Load Out Range Bag will get listed shortly. Keep it organized and make your range trips more organized. These are usually gun show pickups for me and the biggest problem i’ve had with them is not buying consistent sizes. 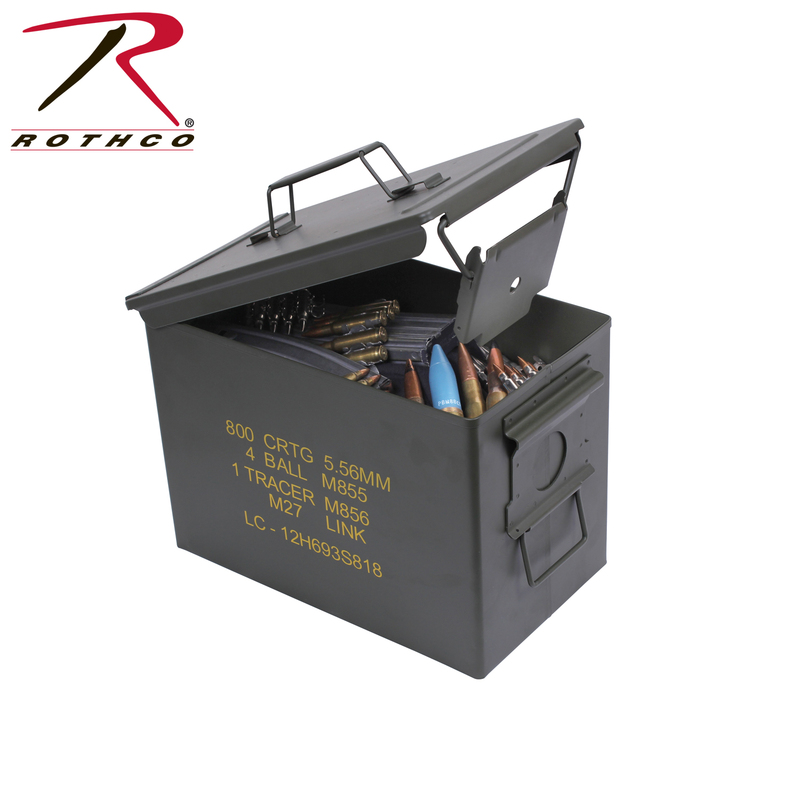 Anyone that reloads ammo keeps things like these around because it’s a safe, economic way to store bulk ammo. Most of these are military surplus but some are not. These are excellent for keep your powder dry and keeping brass clean. I’ve also used them for gun cleaning supplies and store certain types of books. Back in the day I use to see bulk ammo buys that included ammo cans but not so much anymore. Right now it’s a buyers market, we’re seeing a huge drop in buying of parts because so many people are getting complete AR15 carbines for dramatically reduced. I recently was told by a few customers that they were getting Ruger 556 complete firearms for $450 from some dealers. Well, welcome to the complete and total reset of the gun industry, it was all politically driven and the free ride gun stores have had for the last 8yrs is over. Last month there was a 25% drop in background checks across the Country and it’s back to normal soon. The one thing we’ve know is building AR15s is still going to increase and eventually it will be the majority of all AR15 sales. Buying a stripped lower receiver and putting it together is something you can learn pretty fast, and once you’ve practiced it a few times it will forever affect the way you shop for an AR. Buying an AR15 Complete Upper Receiver is still fairly common because it takes a little bit more skill to put one together, but still not very difficult. The buyers market is still going on but it’s going to reset very soon. Some companies are already laying off and only the best will be around a year from now. What you do with a backpack is all about you, and products like these can be used for Military, Police, Campers, Hikers or for travel. The color you choose can portray an image. You can put any type of patch on these bags for Goruck, SWAT, Medic or just Team insignia. I have several of camping and tactical bags that I love, but it’s probable been 15yrs since I thought about adding another backpack to my inventory. There seems to be a sweet spot of “under $150” for which most people want to spend for one and many of the 5.11 bags we’ve sold in the past are getting expensive. Elite Survival Backpacks has impressively expanded in the last 2yrs and they really are worth taking a look at. There have been several new ways of attaching molle pouches to bags and this was the first bag I saw with outer molle configuration (which reduces weight). The Elite Survival Pulse backpack has an impressive versatility and design. Little things like having a backpack with mesh backing, proper cut for neck and well design support straps are what make or break sale. The Elite Survival Pulse Backpack also has the ability to carry hydration, sold with or without. 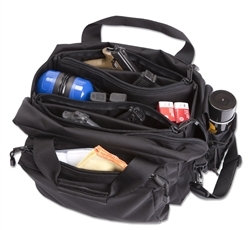 This bag is definitely something we see broad appeal for for backpacking trips, tactical needs and survivalists. Elite Survival Systems is one of a few companies we are a dealer for that I personally used their products before we actually carried them. Just about all of their gun cases are in my personal inventory and many of their holsters. Some people frown on leather holsters, but it all depends on what your needs are. Nylon holsters hold up better in some climates much better than leather. Have you ever seen a leather plate carrier? Nylon has more abilities to be modular and there recently have been some changes to the Elite Survival Holsters that are worth mentioning. Number one, the Elite Survival Pocket Holsters have been remade with a slightly different finish, I used their previous design for several years and it held up well for only being $12. There are some preferences that people have voiced about comparisons in pocket holsters, but we have gotten very little complaints about their designs. 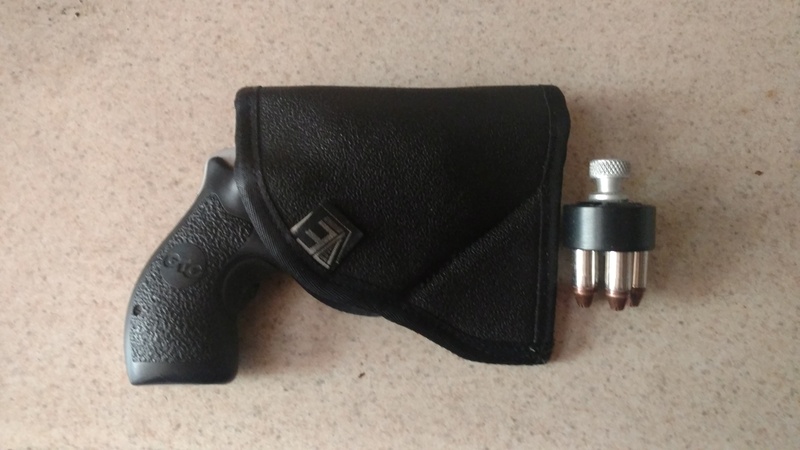 The Elite Survival Holsters that we move a lot of, are the BCH or Belt Clip Holsters. Recently, a removable belt clip strap has been added to this design and makes it a versatile, IWB, IWB with retention, or OWB, or OWB Retention holster. The belt clips they use can be changed to make it a right handed or left handed holster. The Elite Survival Ankle Holsters and Elite Survival Shoulder holsters have very comfortable designs and we have a 99% satisfaction rate while many other Ankle Holsters and Shoulder Holsters get returned. Eotech Optics what was that lawsuit all about? 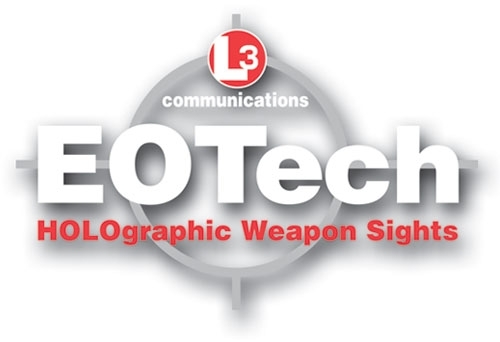 There have been a ton of local police departments that took advantage of the Eotech trade in after the military sued L3 over the falsification of what the optics operated under. Apparently Eotech fixed the problem to some degree but if wood has fluctuations and variables with 10F and 120F, you better bet your bottom dollar that electronics do too. I’ve heard from companies like Vortex and Trijicon that there is always going to be some level of “thermal drift” but the 6moa point of impact shift that some older models of Eotech had were disturbing. What should you know if you are looking for a wide field of view and still like Eotech optics? Well, Eotech took over 26 Million dollars of Eotech optics back and claim to have great fixed the problem, but if you were not running your optic in drastic temperature or humidity conditions, you would never have noticed. I am in the boat of people that sent their Eotech 512 back but I still long for the field of views that Eotech optics had. You will not find many red dots that have the speed that the holographic gun sight have and there is still something that they do right that you should consider. The F16 gun sight heads up display works for fighter pilots and it still works well for operators running M16 or AR15 Carbines. I still wish Eotech would come up with a better battery life and improve on that technology. Pelican Cases when you need it! There are times when you have to match the gun case to the value of a firearm, or if you are traveling long distances or possible shipping a firearm. Many of these cases are customized to the firearm which gives insurance that it’s not going to be sliding around. I’ve witnessed many times in my life, UPS drivers, Fedex Drives and Mail Men throwing packages around. Even our customers will complain to us if a package is not packed right. Long term storage in environments where you can’t predict what the humidity or temperature are going to be is another reason to buy Pelican Cases. 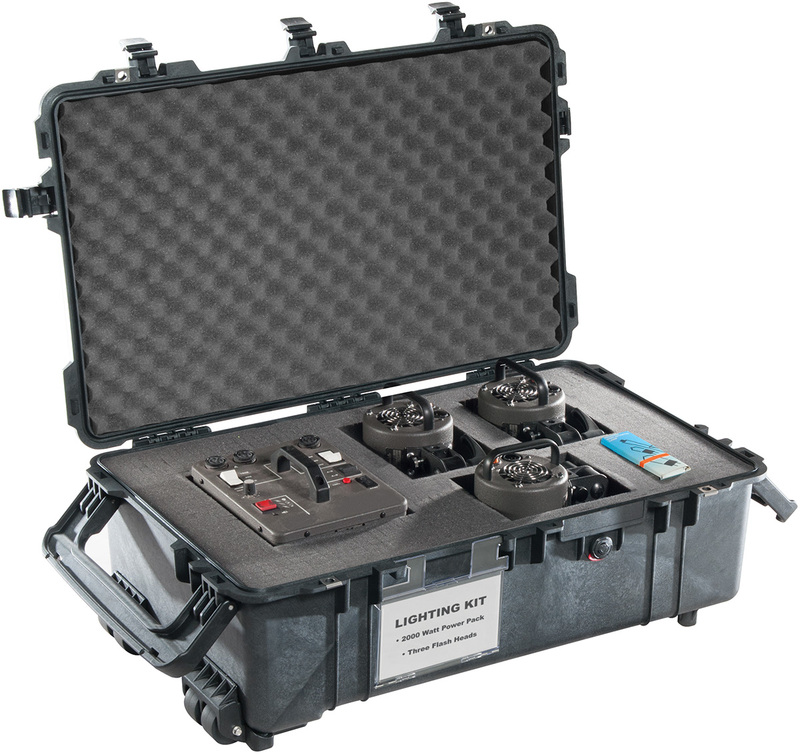 Pelican designs there products in multiple dimensions and depths and you have to know exactly what you are putting in them and make sure you have enough room to cut or alter the foam inserts that they come with. There are some variables with pre-cut foam inserts for Pelican Cases but there is often a lot of wasted space when you do that. Also, most people have different grips, stocks, bi-pods ect so dropping $100-$200 on a pre-cut insert and still having to alter it may or may not be a waste of time. It’s always good to know somebody that has a hot wire or knows how to set one up to get the job done right. There are plenty of tutorials on Youtube that you can watch before you take on that adventure. 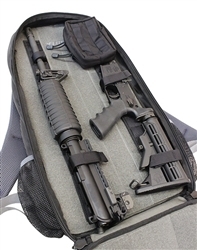 Now that the AR15 is such a popular firearm, many people are realizing that the more you accessorize a firearm, the more likely you are to outgrow those Assault Rifle Cases that that have the 3-5 magazine pouches on the side. Once you throw on vertical foregrips, flashlights, laser sights ect. the simple inexpensive cases tend to not cut it. That why we point our customers towards the Elite Survival Systems Double Agent Rifle Cases and the Cover Operations Gun Cases. If you are into competition shooting, 3gun, or possible in Law Enforcement or a tactical team, you might be carrying more than one rifle. Nylon quality can vary from brand to brand and the cheap stuff doesn’t hold up, the nylon wears out and the zipper break. 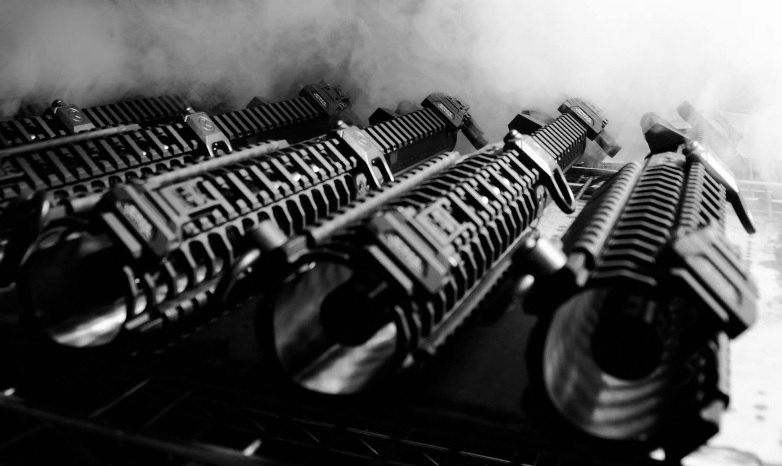 If you are looking for quality, protecting your Carbine, and durable tactical nylon, you really need to find a brand that designs there products properly. The Elite Survival Systems Double Agent Rifle Case is actually a 2nd generation rifle case, a good chunk of our sales are for active military because they don’t want to deal with crap gear that tears and rips easily. There’s nothing worse than having a firearm in a rifle case that has a cheap zipper or easily tears. With the new version of the Elite Survival Double Agent Case, you have straps that secure EACH firearm in it’s pocket and reduce movement. For Competition shooters that have to transport more than one firearm, you should take serious consideration into there brand. This product has been around for a little over a year, one of the main selling points is in the description of the product. In this day and age, not everyone wants to announce they are walking out of their house with a firearm and going away for a range trip or road trip. This isn’t about being a weekend warrior or being a ninja, not announcing to your neighbors that you are a firearm owner is an asset and not a liability. There have been more daytime smash and grabs at gun shops and gun owners are being targeted in many ways. It use to mean that if you were a gun owner people were afraid to break into your home, now people want to break into your home because smash and grabs are someting very hard to stop. 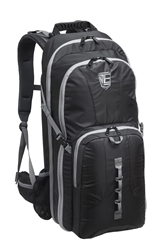 The Elite Survival Systems Stealth Backpack has been very popular with SWAT and other Law Enforcement because they know they have to hit the range, but they don’t want to announce it. Sure this is in the higher priced category, but this is almost a range back and a gun case, all in a backpack. There are several ways of using this firearm and it has an outstanding design for holding an M4 type firearm. The Elite Survival Systems Stealth Backpack almost looks like something you’d take to the gym and although it’s not something you want to leave in sight in your car, this will not flag people that see you carrying it or announce you are a black rifle owner. There are multiple internal pockets and molle and velcro options for attaching magazines, handcuffs flashlights and broken down M4 Carbine AR15 variants. These are made in the USA gun backpacks there are well worth the investment. They are superior nylon quality and easy to conceal firearms for work and for the range. 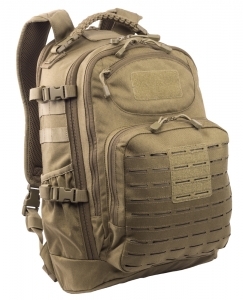 There are ways of customizing these backpacks to hold an IFAK or even magazine pouches, handgun or rifle, or even handcuff and radios. There are a billion nylon companies out there that have similar products, from IWB holster, tactical holsters, pocket holster, shoulder holsters ect, but if you could blind fold me, I could tell you I’m holding something from Elite Survival Systems. The designs of the products, from zippers, to molle, stitching, and just quality, they are superior. I’ve already dared co-workers to test me out and I was always right. There are plenty of companies that have their GOOD products, but we were fans of Elite Survival Systems before we were even a dealer. We found out about there products after the CEO of Rogue Elite was looking for a gun case that fit a DSA FAL. There aren’t many out there. One of them major edges that they have are the designs on their gun cases. 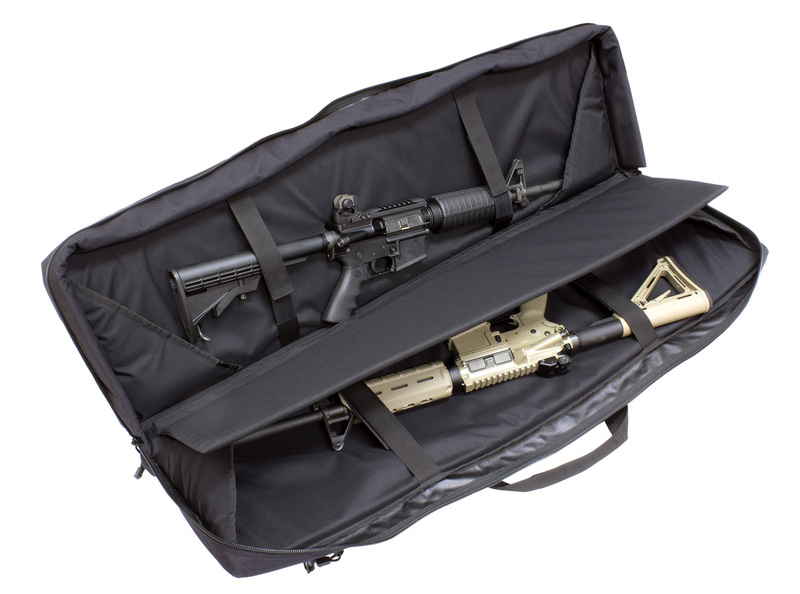 With all of the firearms that are out there, the versatility of Elite Survival gun cases like the Cover Operations Gun Case, that is available in different sizes from bullpup, SBR’s and full length 20″ A2 style AR15’s. The vast majority of their products are MADE IN THE USA in Missouri. 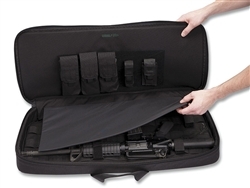 Their pistol cases have outstanding versatility like the Elite Survival 4 Gun Pistol Pack, Scope Pistol Cases and even simple shotgun or long gun cases. The Elite Survival Range Bags are a little larger than most of the other range bags, but I would have to say that many people tend to buy range bags that they end up out growing, we highly recommend theirs. With all of the America First talk, check out this American Made product line if you are looking for high quality tactical nylon.